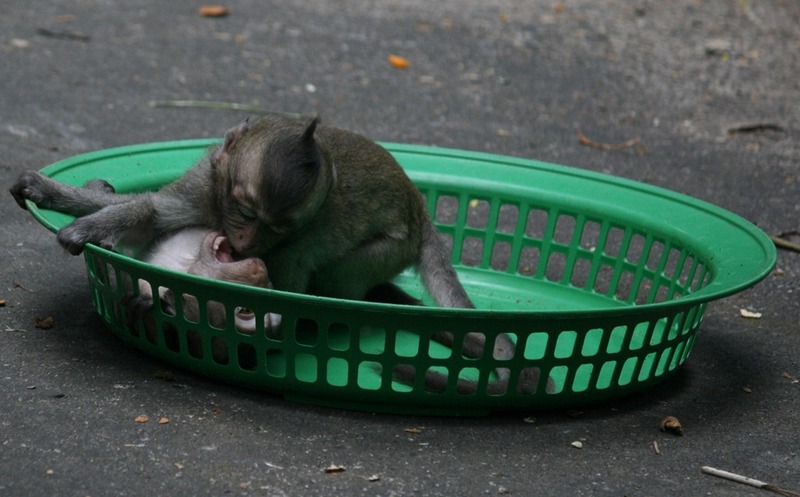 Young male long-tailed macaques spend a lot of time playing. 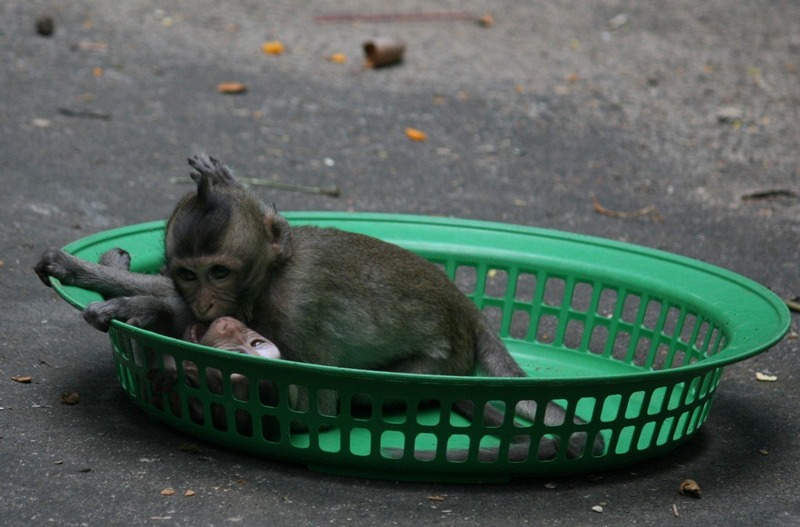 And long-tailed macaques of all ages seem to enjoy exploring and using human-made artefacts. 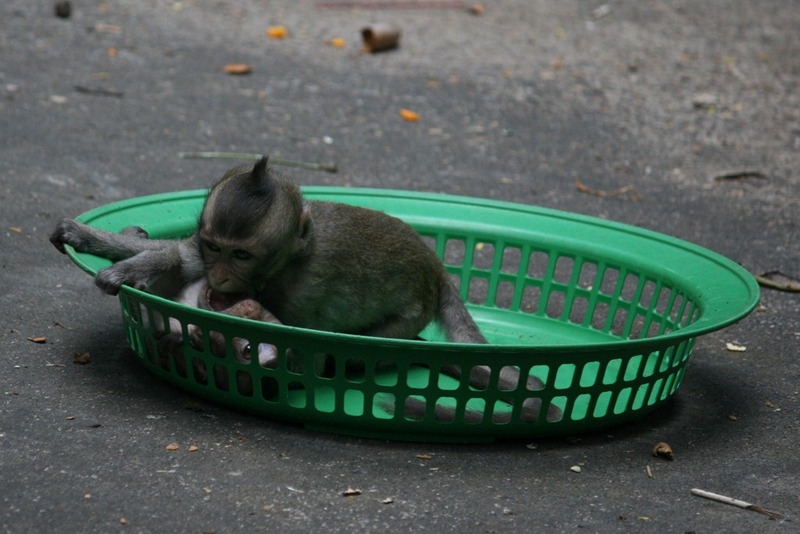 In this sequence of photos by Elliot Capp two young male long-tailed macaques in Don Chao Poo forest, Phana, combine the two pleasures. 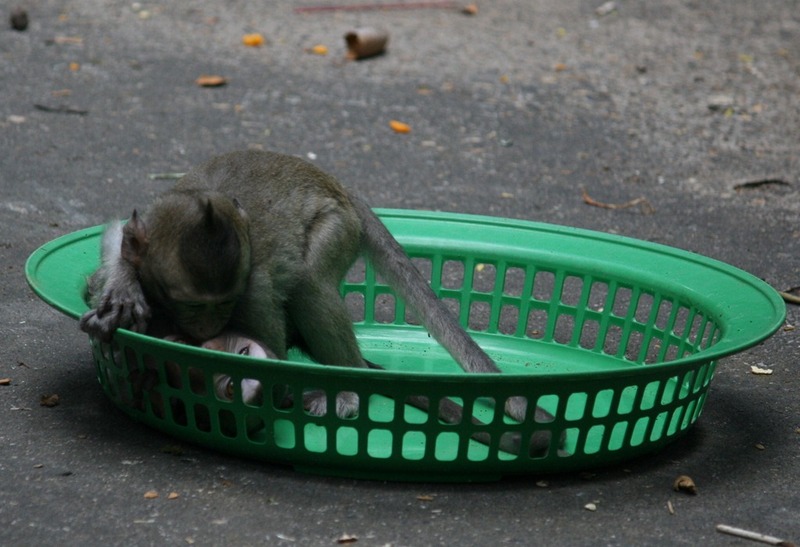 You can also see the “play face” that primates, human and non-human, employ to indicate that they are only engaged in play-fighting. 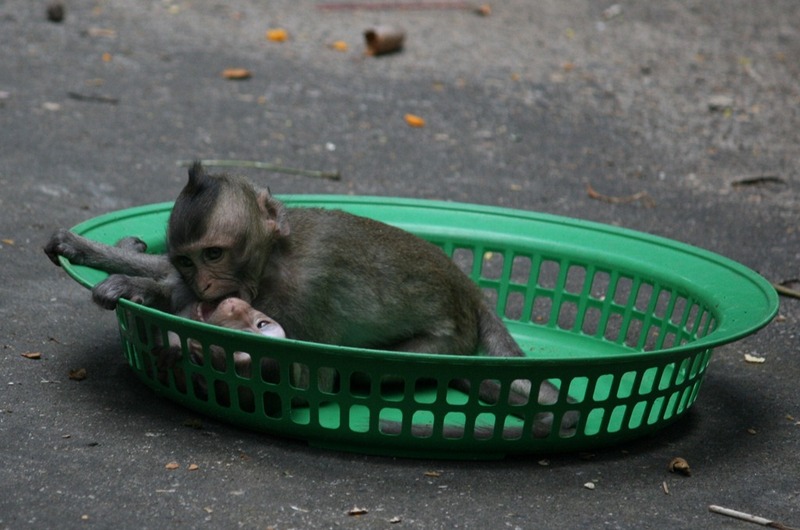 CLICK on the images to see an enlargement. 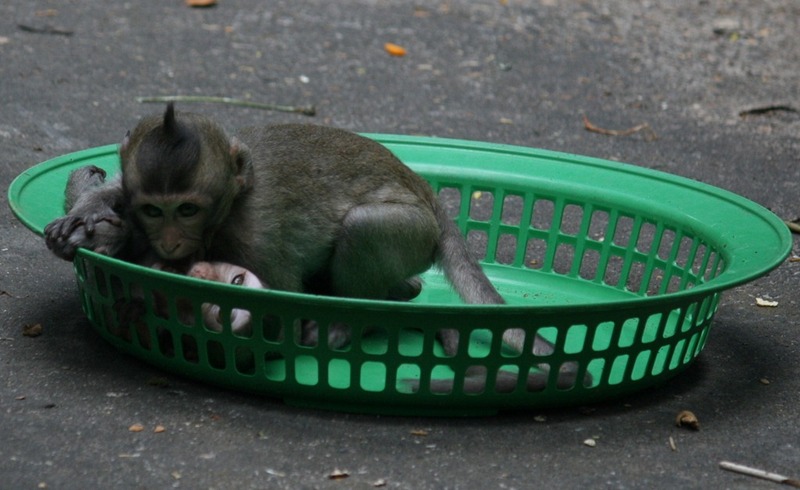 This entry was posted in Long-tailed Macaques, Macaca Fascicularis, monkey forest, Monkeys, wildlife photography and tagged Long-tailed Macaques, Macaca Fascicularis, monkey forest, Monkeys, playful monkeys, Thai monkeys. Bookmark the permalink.